Maybe you’ve looked at your eavestroughs lately and noticed they’re covered in black tiger like stripes? 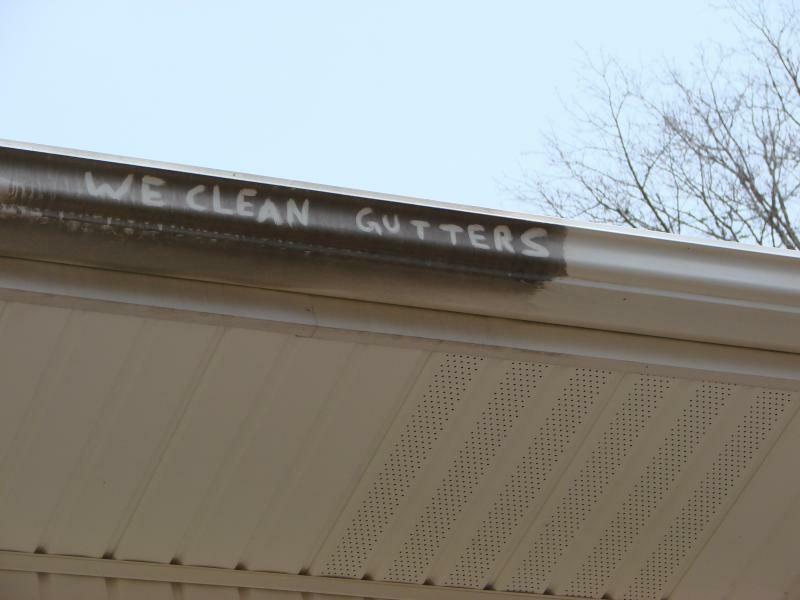 You may have tried to remove these stains from your gutters but no matter how hard you scrub they will not budge! These types of lines are due to a number of reasons, roof tar residue and asphalt from shingles can leach down on to the eavestrough, whilst grime, mold and pollution becomes electrostatically bonded on the gutter’s surface. Removing needs the correct compounds along with a quite a bit of work. Our eavestrough brightening is this process of putting on a very particular solution on the eaves using a soft brush. 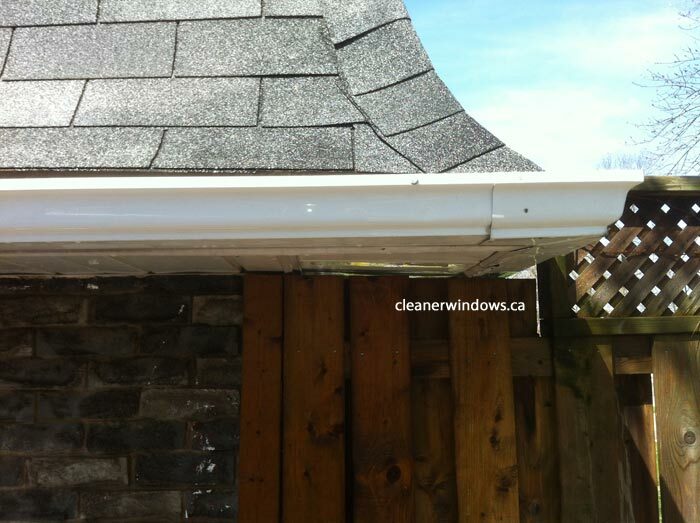 This product is designed just for gutter cleaning. Following a gentle agitation your eavestroughs are set for a quick low pressure wash. As you can tell from the photos above, our Eavestrough Brightening really takes your homes curb appeal one stage further! See below recent photos taken at a customers home in Shore Acres area of Burlington. 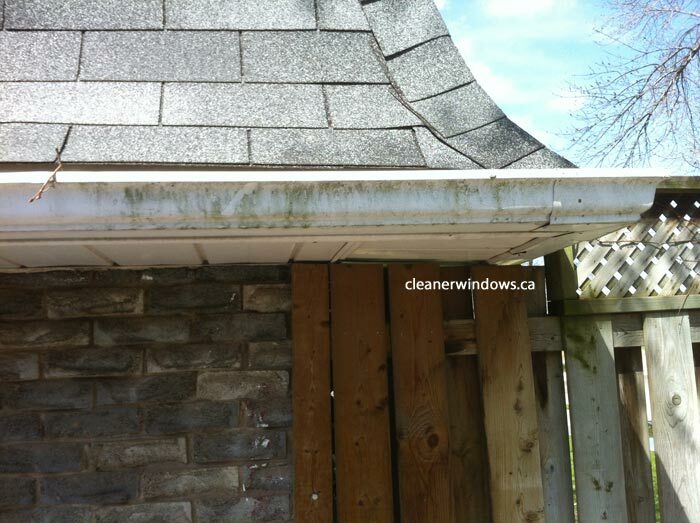 The home owner was thrilled with the transformation cleaning her gutters made to her home.